This page is about Hokkaido food. You can check for food-related event/fair information in ASEAN countries here. Hokkaido is a treasure house of fresh food and ingredients. There is a big variety of fresh seafood like sushi or sashimi, dairy products such as soft-serve ice cream and cheese, mutton barbecue, ramen with three distinctive Hokkaido flavors (miso, salt or soy-based) . 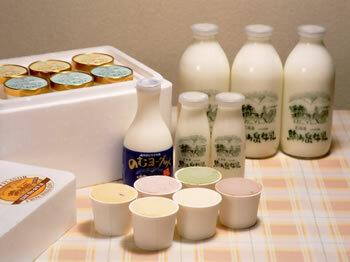 Also, there are other specialties of Hokkaido such as local rice, sake, beer and wines. This mark guarantees that the products are genuinely grown and /or processed in Hokkaido. Hokkaido, situated on the northern part of Asia, has a beautiful winter scenery. 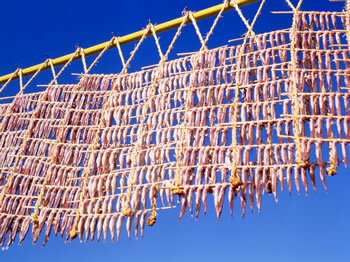 It also offers abundant fruits, vegetables and seafood. Moreover, it is a safe and peaceful area so you will enjoy peace of mind. 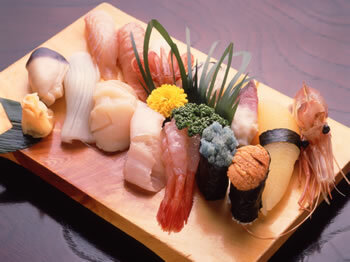 Hokkaido food enriches the lives of each and every one in the world. •The overall logo signifies the shape of Hokkaido, and portrays the soft powder snow and clean air of the region. •Within the logo, the blue mark symbolizes the clean waters and seafood, the green mark symbolizes the greenery, and the red mark symbolizes the blessings and human warmth of the people living in the region.